Hand painted with bright enamel colors. These early Christian signs; Fish, Star of David and Menorah symbolizes the beginning of the Christian faith. 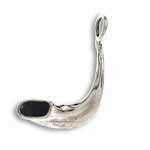 It is patterned after emblems found on a number of artifacts that have been used by first century Jewish followers of Christ. It bridges the continuation of the Old and the New Testimonies. 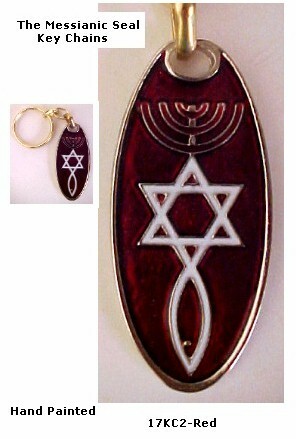 These artistically designed Key-Chains combine early Christian and Jewish symbols! A small keepsake from Israel everywhere they go!